Those who have known me for a decent length of time know two things about me: that I have an atrocious sense of direction and that I love maps. It doesn’t take too long to see how these two points interrelate, but my point is, when I move somewhere new, like, for example, Copenhagen, it takes me longer to get my bearings than for the average person. Why is why, of course, five minutes after arriving in Copenhagen, exhausted from travel and jetlag, I plopped my stuff down, tucked a map of Copenhagen in my pocket, and set out from Vesterbro to take in the sights (and stay awake). On this gorgeous day, I ended up walking for five hours, in a roundabout fashion through Strøget, Nyhavn, and Amaelienborg Slot all the way to the rather unimpressive Little Mermaid statue, before enjoying a falafel pita at the Kongens Have. I walked about 13 km and visited many of Copenhagen’s iconic sights that are now majorly helpful landmarks that rescue me when I am sorely lost. A rather novice selfie from my first day in Copenhagen trying to capture the tourists with the Little Mermaid statue, as well as the swans that got more of my attention. All this is to say that I’m stoked to be here in Copenhagen to turn this grand opportunity into my own experience. So hello—err, hej—god dag, mit navn er Elizabeth Greenfield. I’m a rising senior at Whitman College in sunny Walla Walla, Washington, where I’m majoring in sociology-environmental studies and minoring in music. My hobbies include taking pictures of trees, knitting design, harmonizing to pop songs, and running in as many Copenhagen parks as possible. I’ve been interested in urban sustainability and planning throughout college, but my rural liberal arts school of 1500 students doesn’t offer coursework in those areas, so I am thrilled to learn from Copenhagen’s expertise. Initially, I wasn’t planning on studying abroad. Last fall, I went on a field semester across the United States called Semester in the West, which I expected to be my sole off campus academic experience. But DIS is a very popular program at Whitman, including among several of my close friends. 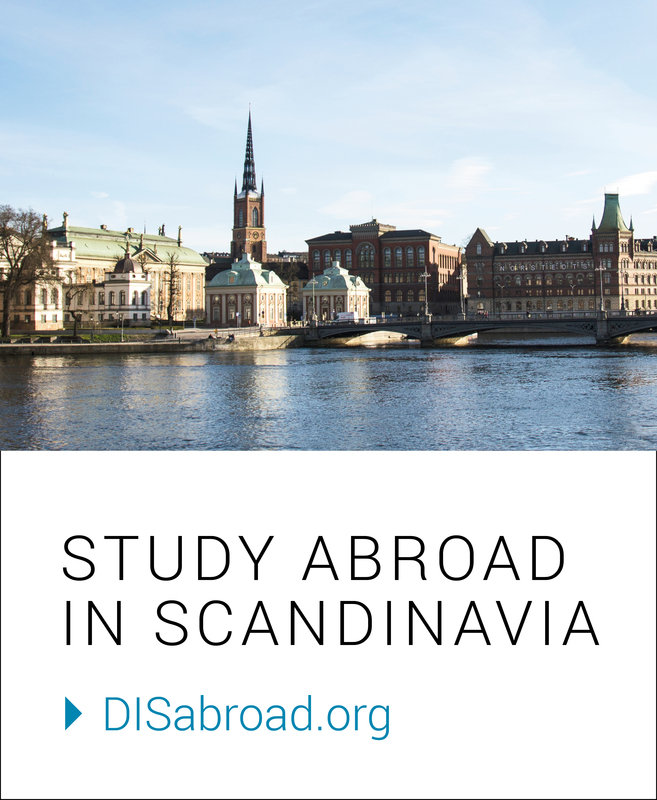 When I heard about the classes they had the opportunity to take, such as Sustainability in Northern Europe and European Transportation Systems, I looked into the summer program to see if I could get a taste of the awesomesauce, if only for a few weeks. Wind turbines in northern Germany, taken out the bus window. On top of an on-shore wind turbine in Copenhagen! After a wonderful weekend in Bergen, Norway with some friends from my Residential Community floor, I am back in Bicycle Urbanism learning to develop a critical eye for the users and uses of city space. This class includes a study tour in the Netherlands! I can’t wait for what is to come over the next three weeks!